Indexed in: Chemical Abstracts, EBSCO, Ulrich's Periodicals Directory. Avastin and Malignant Gliomas: Is there a Role? Bevacizumab Plus Radiotherapy in Malignant Gliomas: Is there a Role? Bevacizumab and Malignant Glioma: Is there a Role for Upfront Therapy? Is Bevacizumab Administration Safe When Combined with Therapeutic Anticoagulation in Patients with High-grade Glioma? Bevacizumab in the Treatment of Glioblastoma: Is there an Optimal Dose or Schedule? 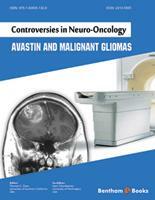 Controversies in Neuro-Oncology: Avastin and Malignant Gliomas, edited by Thomas Chen and Marc Chamberlain, is a timely book for the clinician treating patients with high-grade gliomas. The book will find a ready audience among today's physicians practicing neuro-oncology, medical oncology, and radiation oncology. Bevacizumab (avastin) was recently approved by the FDA for use in patients with glioblastoma. The book that follows is a collation of 25 chapters from North America and Europe that discuss current knowledge that forms the basis for bevacizumab action, experience using bevacizumab in the treatment of high-grade gliomas, its impact on neuroimaging studies, its use with radiation therapy, and its use to ameliorate radiation damage to the CNS. In addition and for comparison, there are 5 chapters that discuss other drugs that have, as one site of action, inhibition of VEGF receptor(s). The editor and authors should be congratulated for compiling an informative book that helps us to understand how best to use bevacizumab in neuro-oncology practice. This is the first issue of our new series entitled Controversies in Neuro-oncology. The goal of this series is to stimulate timely discussion in different areas of neuro-oncology where is still considerable debate on a specific topic, hopefully leading to new studies that will result in a better understanding of the problem. Our first issue "Avastin and Maligant Gliomas" certainly illustrates this point. Avastin is now approved by the FDA as standalone therapy for patients with recurrent glioblastoma multiforme (GBM). It is the third FDA approved therapy for GBM, besides Gliadel (BCNU wafers) and temozolomide. However, the role, usage, and treatment endpoint of Avastin , still remains undefined in many instances. This issue highlights this point. Hofman and Chen review the basic science and rationale for the use of Avastin as an anti-angiogenesis agent. The use of Avastin and CPT-11 (irinotecan) in the setting of recurrent GBM is highlighted in the Duke experience presented by Desjardins and Vredenburgh. Subsequently, the use of Avastin alone was demonstrated by Kreisl et al. to be similar to Avastin and CPT-11 in a National Cancer Institute (NCI) trial, leading to FDA approval of Avastin alone in the treatment of recurrent GBM, vs Avastin and CPT-11. Iwamoto and Gutin demonstrate that the addition of radiosurgery to previously radiatied patients does not increase radiation necrosis in the setting of Avastin. Norden presents the clinical and radiographic progression of recurrent glioma patients that have become resistant to Avastin, leading to rapid clinical progression and death. The role of Avastin in upfront therapy is still to be defined. Reardon et al. present an update on the role of Avastin for newly diagnosed glioblastoma. Patel et al. discuss the effects of radiation therapy when combined with Avastin in the upfront setting. Wu and Gilbert discuss the upcoming Radiation Therapy Oncology Group (RTOG 0825) in which newly diagnosed patients are randomized to standard of care (radiation and temozolomide, followed by temozolomide alone) vs standard of care plus Avastin. Kamsheh et al. discuss the various protocols to define the optimal dose and schedule for Avastin administration to minimize systemic toxicity. Avastin toxicity is discussed by Agregawi and Schiff. Rogers discusses her experience with anticoagulation for thromboembolism in patients receiving Avastin. Defining the response to chemotherapy is currently based on the MacDonald criteria of changes in tumor size using contrast enhanced T1 MRI scans. However, Avastin actually decreases the "leakiness" of the blood tumor barrier, leading to decreased gadolinium enhancement of the GBM. As a result, standard methods of evaluation of tumor responses need to be clarified. Neuroradiographic evaluation of response to Avastin therapy is presented in a comprehensive chapter by Pope based on the UCLA experience with Avastin administration. Butowski and Chang present the problem with Avastin effects on the tumor vasculature, leading to mistaken interpretations on tumor response. Thind et al and Henson et al. present further insights into the imaging responses to Avastin, and response to therapy. From the neurosurgical standpoint, Avastin therapy presents challenges from the standpoint of wound breakdown, and increased medical complications of thromboembolism, proteinuria, and hypertension. These considerations are well presented in chapters by Aghi and Berger, and by Rahmathulla and Vogelbaum. Other potential novel applications of Avastin therapy are presented by Chamberlain in the use of Avastin for other cancers, including metastatic carcinoma and meningiomas. Wu and Levin present an unique chapter on the use of Avastin for radiation necrosis. Chamberlain reviews the use of Avastin for recurrent anaplastic gliomas. Although the use of Avastin has been well received in the United States, its reception in Europe is much more guarded. European perspectives are presented by Stupp, van den Bent, Weller, and Wick et al. who advocate the use of further randomized trials for Avastin application in malignant gliomas. Lastly, the use of other angiogenesis inhibitors that are currently in development is presented. Bart details the use of the tyrosine kinase inhibitor sunitinib for gliomas, and Nabors presents the use of the integrin inhibitor cilengitide for malignant gliomas. Grossman and Blakeley detail the development of another tyrosine kinase inhibitor sorafenib for treatment of malignant gliomas, and Drappatz et al. describe the use of the VEGF-trap Aflibercept in high grade gliomas. Lastly, Gerstner et al. outline the use of the VEGF receptor inhibitor cerdiranib for treatment of glioblastomas. Finally, to put everything into perspective, Gu and Chen present a comparative study of how the use of Avastin is similar and different from Avastin therapy for other malignant cancers. It is our hope that this ebook will highlight the nuances and complexities involved in Avastin therapy for malignant gliomas. Although Avastin therapy is still controversial in many ways, it has also become another pinnacle of hope for malignant glioma patients who otherwise would have no other therapy once they have progressed on temozolomide. M. D. Anderson Cancer Center 1515 Holcombe Blvd.